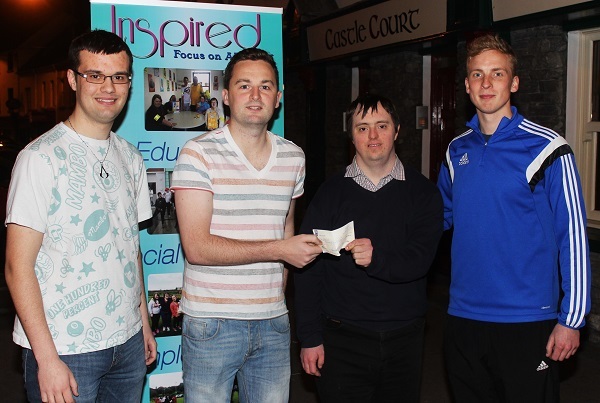 At the cheque handover from the Castle Bar to Inspired were, from left: Jack Dewey, Fergal O’Sullivan, Phillip Fitzmaurice and Darren O’Sullivan. Photo by Gavin O’Connor. A GREAT crowd turned out in the Castle Bar for a Table Quiz with all proceeds going to Inspired, a project for people with intellectual disabilities located in town. The Castle Bar donated €250 to Inspired from charity events held in the bar during the week of Cheltenham. They also put up €100 for the top prize in the Table Quiz. Inspired caters for the needs of young adults living with intellectual disabilities. Developing employment, education and personal skills so that members can gain active employment and be fully participating citizens in society is the main aim of the group. The community-based project was located in The Square but has since moved to Friary Lane. 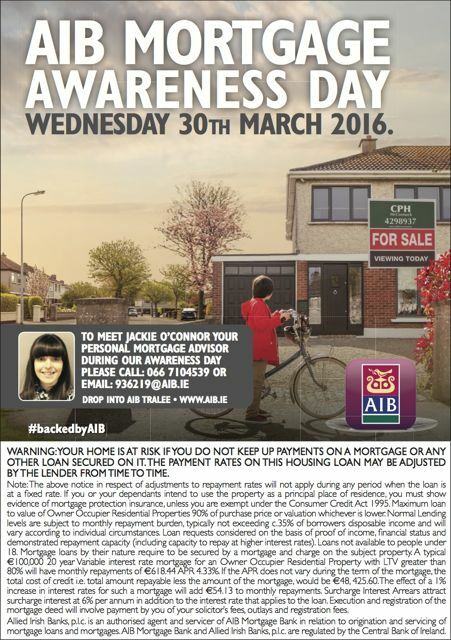 The group strives to be active and visible participants in the community. “We want them to be engaged in work and to be recognized as having the ability,” said Marie O’Connor of Inspired. 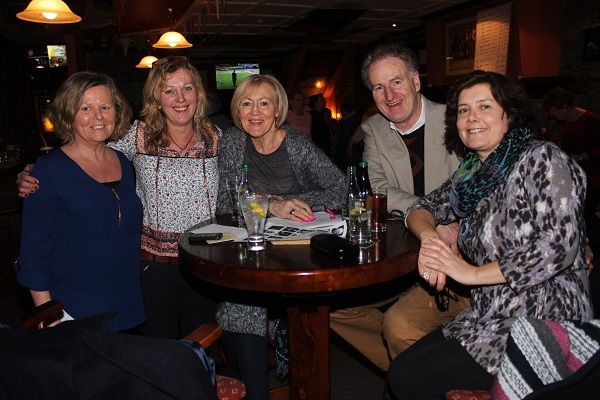 Lorna O’Sullivan, Marie O’Connor, Fran Malone, Brendan O’Shea and Lorraine Casey at the Inspired Table Quiz in The Castle Bar. Photo by Gavin O’Connor. 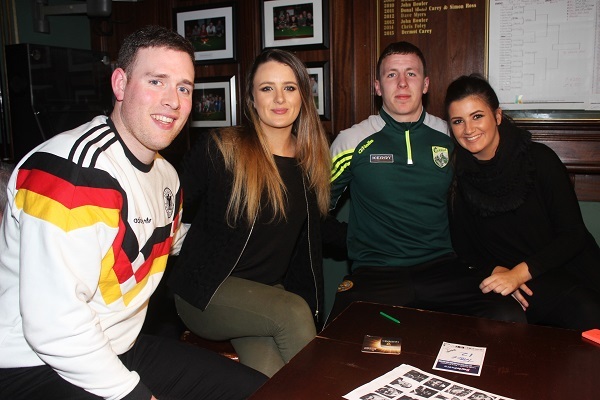 John Dennis, Ashling O’Brien, Darragh O’Brien and Kayleigh Quirke at the Inspired Table Quiz in The Castle Bar. Photo by Gavin O’Connor. 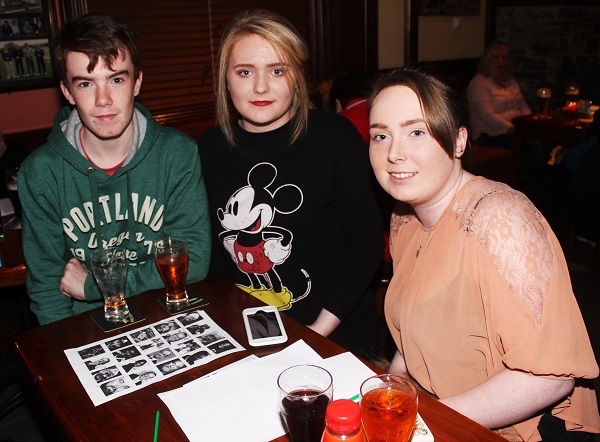 Brendan Fitzmaurice, Sophie Houlihan and Kayleigh Fitzmaurice at the Inspired Table Quiz in The Castle Bar. Photo by Gavin O’Connor. 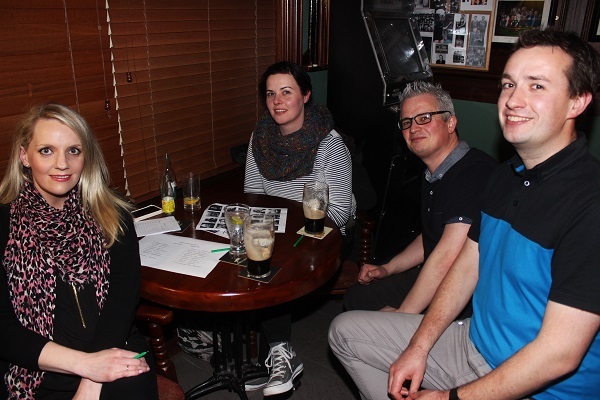 Caroline O’Mahony, Peter Baker, Edwina O’Driscoll, Eileen Galvin and Eoin O’Sullivan at the Inspired Table Quiz in The Castle Bar. Photo by Gavin O’Connor. 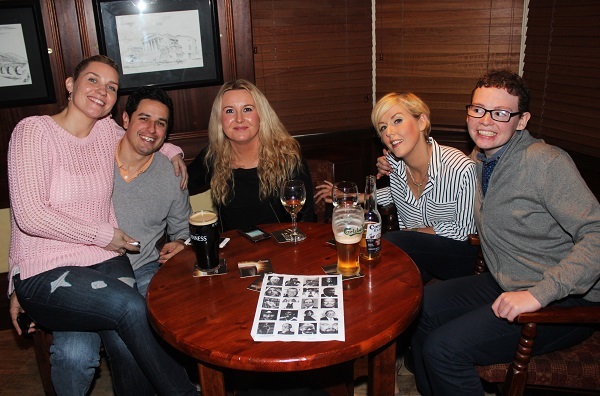 Suzanne Sheehy, Emma Landers, Tom Finneran and Mikey Sheehy at the Inspired Table Quiz in The Castle Bar. Photo by Gavin O’Connor.